Aunt Cherie and Grammy on the hunt! Our family found a new hobby last year and we heard about it from the family fun magazine. It's called letterboxing and it's like a "treasure hunt" kind of. Check out http://www.letterboxing.org/ or www.atlasquest.com/ and if you have any questions email us or comment on the blog and I will get back to you. 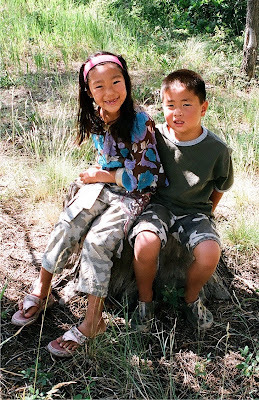 When we went to NM, TX and CO last summer we found a bunch of letter boxes and the kids LOVED it. All you need is a stamp for your family or for each letterboxer, some ink, and a pen and a journal. Go to the website and search for the area you will be in print off the clue and go find the letterbox...try to not let other people know what you are doing...they may find the letterbox and keep it or throw it away. Once you find the box we usually walk away from the hiding spot and then exchange the stamps and write in the logbooks. We even found a new place in Durango, CO to go hiking...maybe you will find something "new" in your town! If you really get into it then you can plant your own letterbox and leave clues for others to find. The kids and I are working on one for the area that we live in...when it's finished we will post clues here and on both letterboxing websites. In honor of the Suess movie Horton Hears a Who the kids and I are going to try and find all of the Suess letterboxes that are loose in our area...any other homeschoolers up for the challenge? 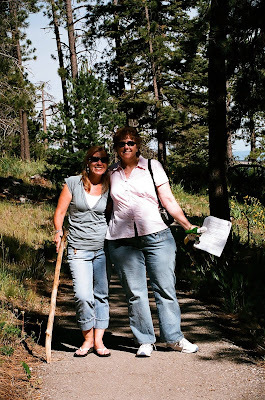 We are huge letterboxing fans since the first time we read about it in Family Fun magazine about six years ago. We try to letterbox on every trip as well as letterboxing in our own area. We have had quite a few adventures all due to letterboxing. btw, my kids use their chops from Korea and China to stamp the books. I'm so glad you mentioned this to me because someone recently told me about it - it may have even been you - & I couldn't remember what it was called or the location of the website! You should post this on our co-ops yahoo group! Too fun! I use to live in New Mexico, where did you do the letterbox in NM? this is like the GPS ones. Sounds like alot of fun. Hope to join soon.